Fig. 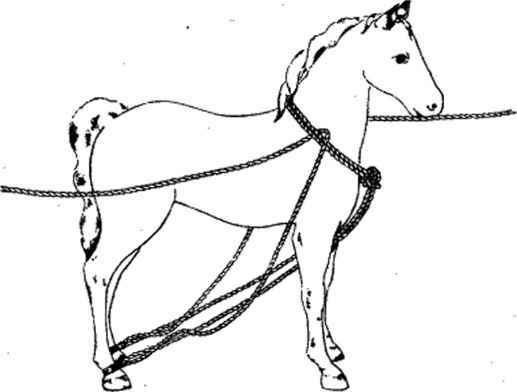 341.—Two methods of making the dove hitch. 402. The Blackwall hitch (Fig. 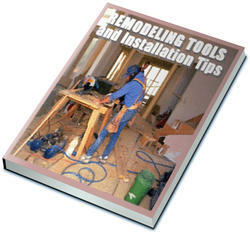 342) is used for fastening a rope temporarily to a hook. 403. 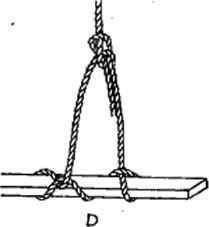 The scaffold hitch is made by wrapping the rope around the board as indicated in Fig. 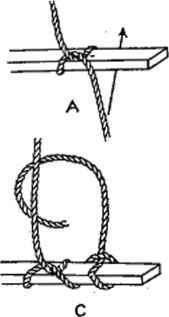 34.3 and then fastening the end to the standing part, by use of a bowline knot. 404. 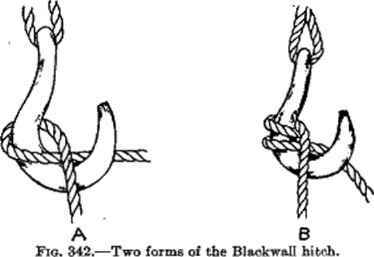 The sheepshank (Fig. 344) is used for shortening the rope. It is made by gathering up the rope, forming two bights of the desired length. The standing parts are then looped around the end of each bight, using half hitches.